If you are looking for high quality furniture at affordable, you should see what Amish Originals Furniture Co. has to offer in their clearance section. 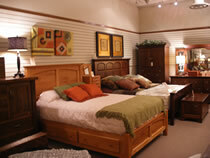 When you live in Columbus, Ohio clearance furniture is just a short drive away at 38 North Street in Westerville. You will find the same quality as any other items in the store, but at greatly discounted prices. You are already getting a great deal when you shop at Amish Originals, because they only sell furniture that is built to last. There are no assembly line products in this store. Each piece of furniture in the showroom is lovingly handcrafted by members of area Amish families, so you know that each piece is going to be unique, beautiful and durable. One of the things that keeps customers coming back to Amish originals over and over again is that they can always expect an amazing level of customer service. You are not going to bring home just any piece of furniture because someone is looking to make a little bit of commission from the sale. The helpful and knowledgeable sales associates at Amish Originals will help you choose just the right items for every room in your home. They will explain about the various woods used, and how well made this hand-crafted furniture is. Amish Originals has been the leader in Columbus, Ohio furniture sales since 1992, and they go above and beyond to make sure that their customers have the best shopping experiences possible. Everyone knows that the Amish have an amazingly strong work ethic. This work ethic really shows in every item that is sold at Amish Originals, one of the leading suppliers of Amish furniture in Ohio. More than 70 Amish families from the Northeast Ohio area are able to earn a living through the work they do for this furniture store. Each piece is made by hand, and no machines are used to build or decorate these beautiful pieces of furniture. Amish Originals is always looking to hire new Amish furniture builders. The company wants to ensure customers that the best furniture builders are always building items for Amish Originals. Not only will you find beautiful, Amish-made furniture, there are many other hand-crafted items to choose from, including gifts and outdoor furniture. If you want to get a small sample of the clearance items at Amish Originals, you can visit the website here. 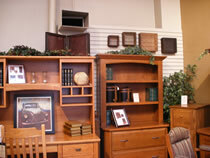 You can take a sneak peak at a few of the items that are in the clearance section of the showroom. Don’t forget to check out other items on the website. You never know when your favorite pieces are going to show up in the clearance section. If you live in Columbus, Ohio clearance furniture is just a hop, skip and a jump away at Amish Originals on 38 North Street in Westerville. You will be very glad that you did.